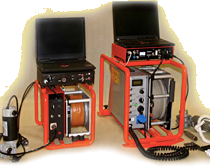 The probe H4I-453 is designed for measurement of electrical conductivity of rocks in boreholes. High stability and exceptionally wide dynamic range are giving you possibility to carry on precise measurements of conductivity of sand-clay layers and also mineralized water-soaked sands. 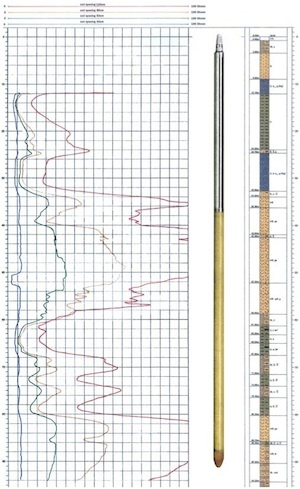 Thanks to the induction method applied the probe can be used in water filled, dry or plastic cased boreholes. The 30 cm channel is used to minimize the impact of the disturbed zone of the borehole wall on the measurement results. The response is practically instantaneous (<0.5s). If customer's system allows it all the four channels can be measured simultaneously. If not, two channels are measured when the probe goes down and the other two ones when the probe moves up.